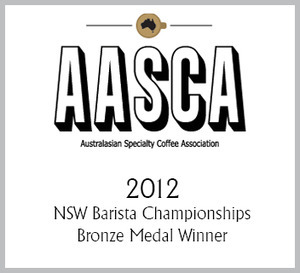 Association with one of the most popular coffee brands in the Riverina. Passion for the highest quality coffee, and dedication to your success. Access to expertise from years of practice running successful cafes. Strong market demand for The Blessed Bean products. Inclusion of your business in The Blessed Bean network. Ongoing support and product education. Fast turnaround on orders and product inquiries. As one of Australia's most significant emerging gourmet roasting brands, The Blessed Bean offers a delectable range of coffee blends which is quickly developing a staunch following in the market space. Sourced from the most caringly cultivated coffee plantations across the world, The Blessed Bean comprises 100% arabica coffee beans universally loved for their unrivaled delicacy and flavour. As part of The Blessed Bean wholesale family, you are an extension of us, and we offer you the same care as we would our own staff and shop. The support you will receive comes in the form of superior hand roasted coffee and friendly advice as it is needed. The Blessed Bean offers a holistic approach. Most roasters stop at the supply of coffee, however The Blessed Bean continues to work with its customers to ensure they are comfortable with the product, and it is being served at its best. Coffee is much more than a commodity, it's a tale to be told. The stories entwined in our coffee and it's origins are rich in tradition and legend. Our goal is to empower you with this knowledge to pass onto your customers so they in turn will tell the story. We want you to display our logo with as much pride as we take in it, and offer you the ability to excel and exceed your expectations. Our relationship is based on the same principles that we hold for everyone that comes in contact with us, based on common goals of excellence, trust, and the passing on of knowledge. Limited places available on origin trips. Imagine being able to hand pick the berry, speak to the farmer, and pass this on to your customer. Our training aims to instill passion about where our coffee comes from, how it was picked and processed, as well as how to take our freshly roasted beans and turn them into a beverage that delivers beyond your customers' expectations. Skilled Baristas, clever latte art, passion and knowledge about the coffee origins are sure ways to success. We have aligned ourselves with companies showing a proven and respected record in our industry and are proud to be able to offer you coffee machines from world renowned espresso machine manufacturer La Marzzoco and equally respected Mazzer grinders. Not only does The Blessed Bean deliver training and expert advice, but Simone and Jason also act as Coffee Consultants, assisting with workflow, organisation, staffing, menus, and branding. The Blessed Bean approach is to focus on the whole experience for the customer, as it’s not just about the coffee. Love the Journey, Live the Obsession. It's all about the journey. A journey that stretches across several continents. It starts with individuals and families, and their dedication, pride and hard work. Their product contains their soul which is expressed in cups daily around the planet. Our mission is to find these people and bring their story back to you in the form of a blessed bean. We then roast it to perfection and bring out its inherent qualities and characteristics. From the Indian Malabar coast to the mountains of Colombia. This is our story, we invite you to be a part of it. 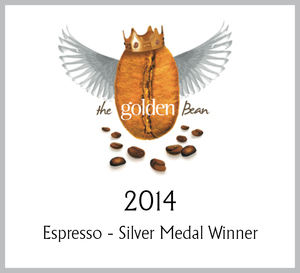 The Blessed Bean is committed to sustainable and ethical farming and business practices. We work hard to achieve direct relationships with the primary producers. The Blessed Bean does not support child labour, unsustainable practices or unfair treatment and/or lack of services to the workers in the plantations. Our approach is entirely holistic from building relationships with growers, encouraging good harvesting practices, and respecting the people and their culture by sharing their stories and always paying homage to the origin. At The Blessed Bean, we select only 100% arabica coffee which has a delicacy and flavour that is unrivaled in its botanic variety. We only choose high grade arabica which is judged by international panels of qualified professionals as being the finest coffee on offer. Our coffee is carefully selected and we know how to highlight its complex aroma and taste. From around the globe we search for coffee that displays attributes that will tantalise the senses of our customers and spark the curiosity of the adventurous. We give personality to coffee! We believe that each palette is different, so our blends have been handcrafted to have a specific character which have been designed to meet our blends' persona. This enables us to educate our customers and suit demographics and individual customer needs. If you love incredible coffee, you'll love The Blessed Bean. Coffee is our way of life, it's at the core of everything we do. Our team has extensive experience in the coffee industry. 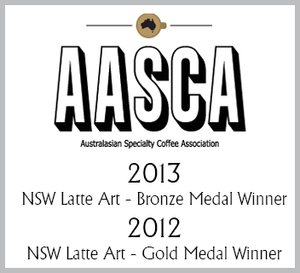 We have Barista and Latte Art champions, and we know how to get the most from the coffee we provide. In our cafes, every customer we serve, every interaction we make is an opportunity to make someone's day. We seize every opportunity to make a difference and leave things better than we found it. Single origin coffee is coffee grown within one geographical location, usually from just one farm or estate, although it could be as specific as coffee from just one field. At The Blessed Bean, we source our coffee from a range of regions, each with a unique flavour profile. Individual flavours are shaped by factors such as plant variety, altitude, sun exposure, rainfall, soil and farming techniques. Single origin coffees offer the opportunity to appreciate the unique stories and profiles delivered by different regions. At The Blessed Bean, we aim to combine our origin coffee in such a way that it is the perfect balance of flavour and complexity. We are proud to showcase our regular and premium cafe blends, as well as our blends that pay homage to their origins. Top dog. Numero uno. With rich dark chocolate and caramel sweetness, nutty undertones and hints of spice to finish, this coffee is by far our most popular. An easy crowd pleaser, you can't go wrong with this blend. 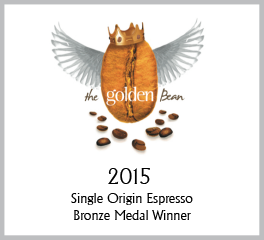 Our award winning espresso blend is hand roasted in the Riverina using top quality arabica beans from Colombia and Ethiopia. It has a rich, full bodied, fruity flavour with hints of walnut. The Senorita is a classic female. It is short and sharp up front which softens into a well rounded blend. This coffee displays ripe fruit characteristics with a brightness and acidity that's apparent from the first sip. Underneath the crema is a full bodied buxom wench that oozes the sweetness of milk chocolate and caramel. This is a coffee that leaves an aftertaste of desire and the need for another cup. Brazilian, Guatemalan and Indonesian are the origins of choice for this spirited blend. God Cup is a divine blend of the far reaches of the globe and delivers a unique and intensely satisfying taste experience. This product delivers the history of families and individuals steeped in decades of hard work and pride in one cup. God Cup is a reflection of what is tasting great and whose story we would like to tell. Enjoy the expression and interpretation of this wonderful coffee.